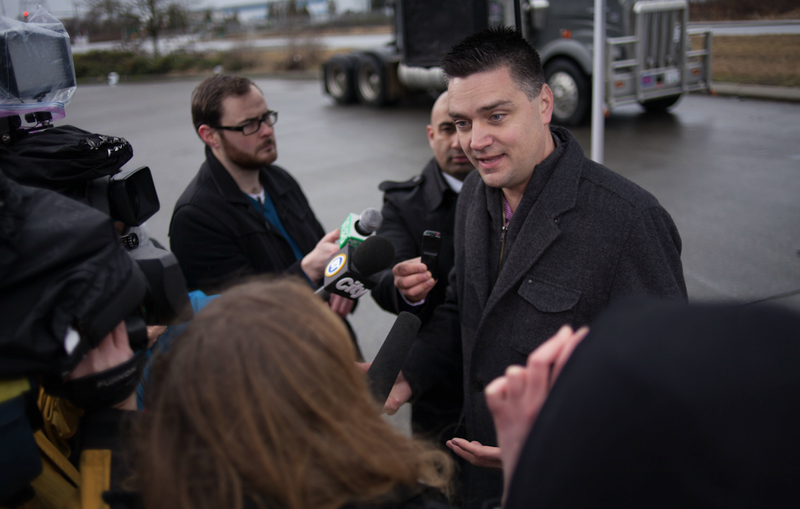 LETTER – What are the BC Liberals so afraid of? BC LIBERAL MLAs have been holding a slew of events around the interior recently, slamming proportional representation and passionately urging voters to reject pro rep in this fall’s referendum. What are they so afraid of? A quick look at the 2017 election results is illuminating. In the ridings in the central interior (including the two Kamloops ridings), the BC Libs won 51% of the vote. Due to the miracle of First Past the Post, that translated into 100% of the seats in our area. Had the election been conducted under a proportional system, they would have won just over half the seats. Do you see where this is heading? Houston, we have a problem! For Mr. Stone and his BC Liberal buddies on the benches of Her Majesty’s Loyal Opposition, this referendum is of more than academic interest. The fact is that several of them would be out of work under a proportional system, since the other half of the seats in our region would have gone to the NDP and the Greens, based on their level of popular support. While Mr. Stone is no doubt acutely aware of this little problem, it’s easy to understand why he might choose not to make this unfortunate fact the focus of his complaints. Sounding off about the “terribly flawed” process (although others have called it the fairest process B.C. has ever seen) and predicting “disastrous” results for our province (while the evidence points in exactly the opposite direction), is more palatable for our MLAs than moaning loudly about their own impending unemployment. But this referendum isn’t about Mr. Stone and his BC Liberal colleagues. It’s about voters and improving representation for all of us. Because the ridings would be structured differently, we would have more than one local MLA, meaning almost all of us would actually have an MLA who aligns with our own priorities representing us. Fancy that! No wonder voter satisfaction is higher in countries using pro rep! An unfortunate side effect of the BC Liberal sweep enabled by First Past the Post was that the entire interior region ended up with no MLAs on the government side of the Legislature. Sadly, this also means that our region can be safely ignored for the next four years. That’s not effective representation for any of us, regardless of which party we support. Under pro rep, each region of the province would elect MLAs to both government and opposition, since each of the major parties enjoy significant support in all areas of the province. Pro rep would ensure that no areas of the province would be “frozen out” of power, as we find ourselves now. 6 Comments on LETTER – What are the BC Liberals so afraid of? I like the idea of reform, because I’m not a fan of the current system. However, I have concerns with prop rep that nobody has been able to allay. First, let’s say whatever the new Kamloops riding looks like votes in a Liberal and a Green. Where does the Green candidate come from? It seems that the Greens would just pick someone off a list so now we have some Green representative that doesn’t even live anywhere near Kamloops “representing us”. Anytime you’re not voting for a candidate seems undemocratic to me. Second, based on historic voting patterns, we’ll have a large Liberal contingent, a large NDP contingent, a moderate Green contingent and perhaps a small Conservative contingent (if they can beat the 5% threshold). We’re definitely going to have perpetual coalition governments. The Liberals and NDP are on opposite sides so the coalition will always be either NDP/Green or Lib/Con/Green depending on who the Greens want to make Kings. So from here on out, the Greens will be horse trading after every election to pursue their agenda. We’ll be voting on policies and we won’t have any idea what will be enacted until the horse trading is done after each election. This puts too much power in the Greens hands (and perhaps even the Conservatives) if they can get enough support. Lastly, coalitions lead to deadlocks. If they can’t agree, we get nothing. Northern Ireland is on day 626 with no government. Sweden’s parties won’t work with the Democrats which won 17% of the vote and is going on over a month with no functioning government. Australia has a new PM every 1.5 years on average. Coalitions might be the most “fair” to all voters but they aren’t great at getting things done. At least now, I can see Mr. Stone on the street and talk issues if I want. I may not agree with everything he or the Libs do but at least he’s accessible. I don’t have some “representative” 500km away pushing policies that I have no idea if I voted for. Excellent letter Gisela. The Liberals know that they will never be able to run roughshod over us again if Pro-Rep is adopted. No more pay to play, and huge donations from their developer friends, and other big corporations. No more having a virtual dictatorship with only 40% of the vote. It is time that BC ( and Canada ) joined the modern world, and politicians earned their keep doing for us instead of themselves. I would agree that the process is flawed. For example there is no participation or regional threshold required, meaning that 50% plus 1 of ‘those that vote’ regardless of where the votes come from, will decide for the whole province. In previous referendum there was a requirement for 60% of ridings to approve of a change. Now, if 30% of electors vote, then 50% plus 1 of those electors regardless of whether they are representative of different parts of the province, will decide for all British Columbians. That does not sound fair to me. I further understand that in previous referendum an independent third party determined the question. For this referendum we have NDP Minister David Eby in that role. Um, what other seats? There is currently one seat for Kamloops South, and one for Kamloops North. Is the idea also to have a whole bunch more seats with the bureaucracy, expense, etc that would go along with that? Would prop rep involve doubling, tripling, or more, the number of MLAs so that anybody that gets 5% or more of the popular vote in a riding would automatically have a seat in the legislature? Please say it isn’t so. Government is very expensive as it is, without layering on more expense. As to the obvious urban rural NDP/Liberal split in BC, this is largely due to the current administration’s propensity for telling their base in the Lower Mainland and Vancouver Island “we’re going to give you free stuff”, and confiscating said “free stuff” fromthe rural ridings while actively canning projects that would provide the “free stuff”. News flash: There is no free stuff. For somebody to receive government money, it must first be taxed away from somebody else. Todd Stone and Peter Milobar are your reps, whether you voted for them or not. It is their duty and obligation to represent all constituents fairly, not just those deemed as friendly to them. FPTP is, after all, a secret ballot system so technically they don’t know who voted for them, or not, unless you make it a habit to never miss an opportunity to publically declare your personal distaste for them…. All the systems proposed for BC can be implemented with no net increase in MLAs — that’s the whole point of this letter, Ken. You need to actually read about what has been proposed. Well, Gisela, I think you’ve hit it right on the head in regards to the unemployability of certain politicians. But others will take their place under Pro-rep and produce a much fairer and more balanced legislative assembly. At least we’ll be taking advantage of the ideas of more than 40% of voters, and according to the experience of 80%+ of OECD countries who have already paved the way in modernizing to Pro-rep that will be a good thing and long overdue.